A. Yes. We are a 501(c)3 tax-exempt organization with the IRS, and your donation is fully tax-deductible within the guidelines of the U.S law. Q. 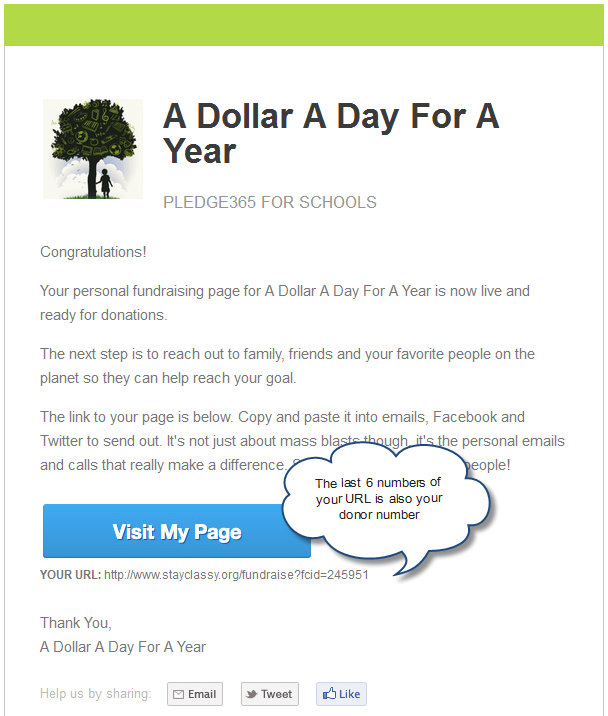 Can Teachers, PTA, Parent Co-ops and Booster Clubs start their own fundraising page? A. Definitely! This can be used as another way to raise funds. No inventory needed. No delivery of products needed. No order forms to fill out. No need to cash checks or keep track of money. There are people who just want to donate and PLEDGE365 empowers those individuals to be able to give without having to buy any products or go to events. Employer matching is also available! Q. Can I raise money for something specific? A. Yes! As long as they fall under classroom essentials, projects, field trips, books and programs (such as arts, music, sports, science, technology, grad night, excursions). NOT salaries or building expenses. If a class wants to raise funds for a specific field trip, but are unable to go due to lack of funds or other reasons, funds raised still go to the school for the fundraisers’ classroom essentials, projects, other field trips, books and programs for that school year. Q. Does it cost anything? A. To cover our merchant transaction costs and support the work we do to push our mission forward, we charge 5% to pay for credit card processing and 3% to help pay for other administrative fees. For every dollar donated, you get $0.92. Q. How long does it take to receive the funds we raise? A. Cleared transactions take two to five business days upon receiving your request. Cleared transactions are funds ready for your withdrawal. Remaining balances may take additional time to clear. It takes two weeks to clear transactions from our donation portal to ensure there are no fraudulent transactions. We suggest to buffer your goal date to accommodate this time to ensure you have your funds when you need it. As our technology improves, our goal is to reduce this time. Q. Why $365? What if I can’t raise that much or what if I want to raise more? A. The goal to raise $365 came from the concept of “A Dollar A Day For A Year”. But when you set up your own fundraising page, it’s up to you to assign the dollars you plan to raise. If you don’t meet that amount, it’s perfectly fine. If you go over, that’s even better for your school! If you need more information, CLICK HERE to contact us.